The NEW 132 page Classic Sewing Magazine, is a must have for all levels of sewing and heirloom sewing enthusiasts. 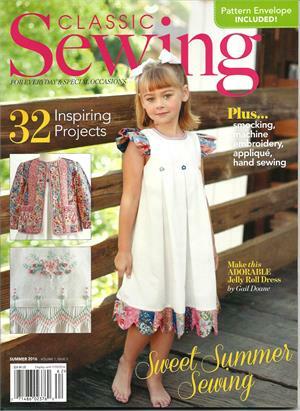 Issue number one features 2 full-page patterns, projects for children and adults, sewing room tips and ideas, gift ideas, a resource guide, sewing techniques for beginners to the most advance designer! Available by pre-order subscription only. All pre-order subscriptions are sold on a per issue basis "one issue at a time." You pay only for the issue you pre-ordered. 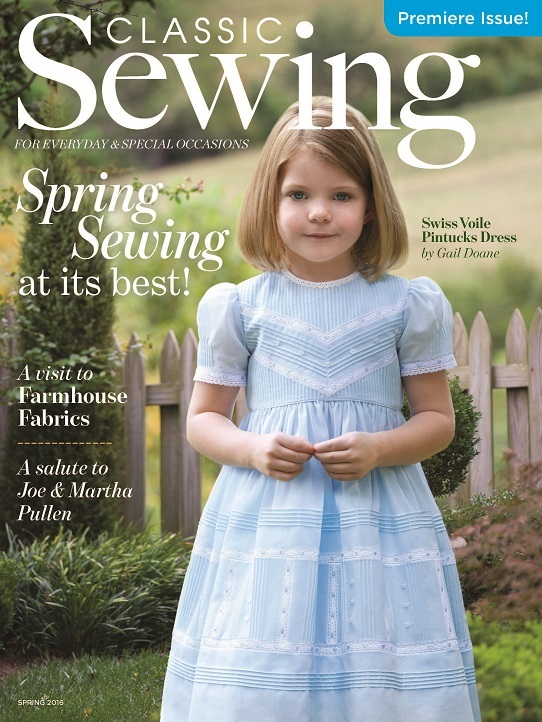 The premier issue contains a pattern pack which includes the Christening Gown by Connie Palmer and the cover blue Swiss voile dress by Gail Doane.